Is That Snake In Your House Dangerous? 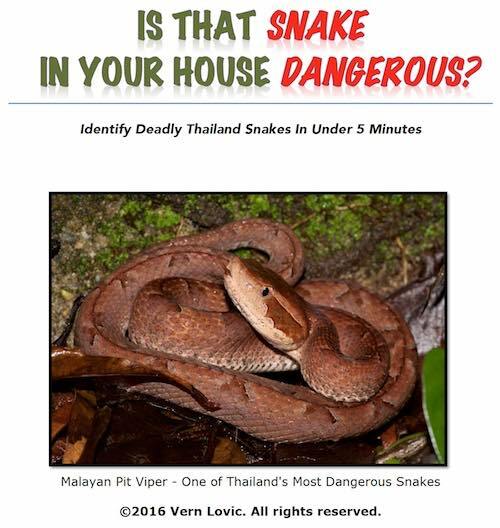 Identify Deadly Thailand Snakes Within 5 Minutes! I wrote this one. 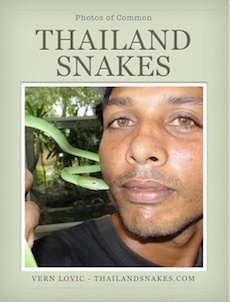 This is in PDF format and has the 35 deadly terrestrial snakes of Thailand in detail and in high resolution images. There are ESSENTIAL FIRST AID Instructions included. Click Here to get it. Photos of Common Thailand Snakes! Venomous and non-venomous snakes listed. Photos and facts. This is FREE, and while not essential, it can be the source of some good basic information. You should get it – it’s helpful. > Click Here to get it. 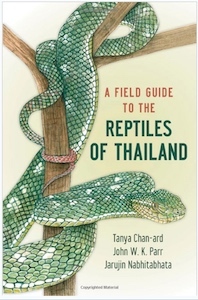 A Field Guide To The Reptiles Of Thailand. This one is available as a MOBI file. Yes, it’s expensive, but it covers all the reptiles of Thailand, and it’s fairly comprehensive with not all that many mistakes. It definitely has some. Of all the books and ebooks I have, this one is the most comprehensive. It still has errors, but every book I’ve seen has some. Get it here. 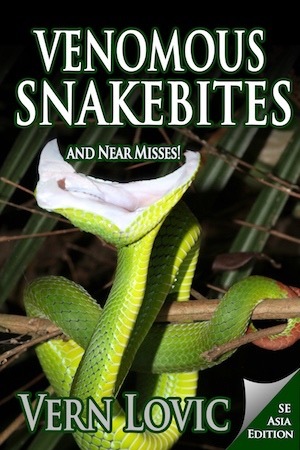 More than 34 stories of venomous snakebite and very near misses from Southeast Asia’s most deadly snakes – King Cobra, Malayan Pit Viper, Monocled Cobra, Banded Krait, Malayan Krait, and more! Digital Book with over 100 pages by Vern Lovic. Get it here. If I will be walking in high grass or thick brush, or on deep leaves, I wear simple $6 rubber boots that go above the ankle. These boots cover half the shin – and this seems to work well. The real danger for looking for snakes at night in Thailand is the Malayan Pit Viper. I don’t walk through any thick grass that blocks me from seeing my feet, or around my feet. If you’re planning on doing that – you should wear the thick rubber boots, or thick leather boots that go almost to your knee. Get Nike Boots here. 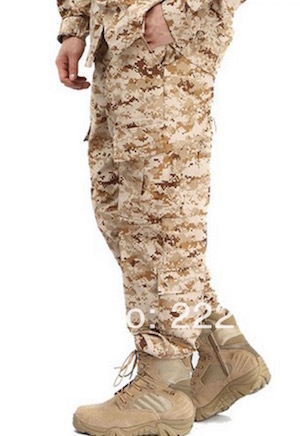 Ideal field herping pants are something like USMC Desert Cammies with drawstrings around ankle. I wear U.S. marine camouflage pants I bought at a local market. They are real marine issue – very tough material. They were 950 THB ($30 USD). They have a draw-string on each leg that tie at the bottom tightly – and this keeps the ants off my legs. They’re SUPER HOT. I pull my socks up over the pants to help as well. Ants and termites are often active at night by the millions. These won’t protect against snakebite, but only the most expensive snake-pants or gaiters will. Get Mossy Oak pants here. 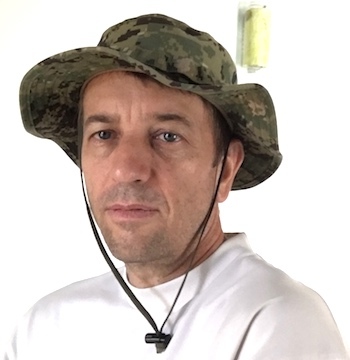 I wear a wide-brimmed boonie hat to keep mosquitoes off my head. 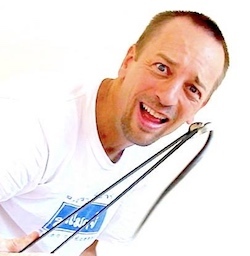 I wear a long sleeved very lightweight running shirt (Get the Nike version here ) that wicks away sweat – and also keeps the mosquitoes off. Get your boonie cap here. Flashlight technology has exploded. 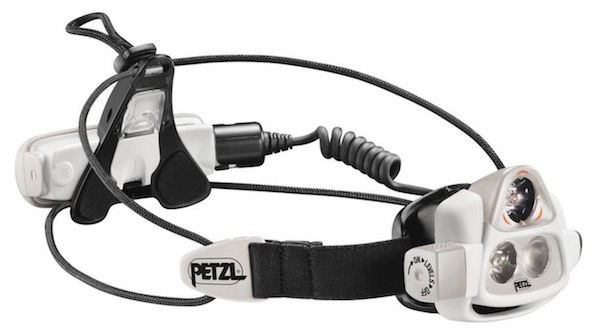 I currently use a horribly expensive Petzl Ultra Rush headlamp. I also sometimes use my Petzl Nao+ (Plus) headlamp, or the Petzl NAO 2 which also gives about 1.5 hours at full brightness, or 3-4 hours on auto reactive mode. All of these lights work well – but the Ultra Rush is just awesome – the beams are just right and the best brightness level for finding wildlife at night. This is the Petzl Nao 2 with 575 Lumens max power. Th quality of light, shape of the beam, and brightness of the light is really excellent for night time herping in the rainforest. 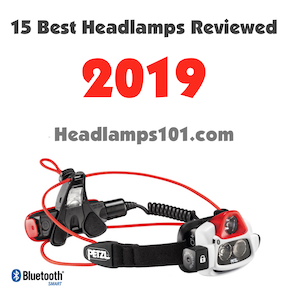 If you want the absolute ultimate herping headlamp – here is info about my favorite headlamp – Petzl Ultra Rush Light and here is a link to see it if you think you can afford it because you just want the best herping light – Get it here. 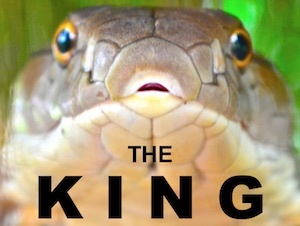 If you’re interested in our Reptile Internship this year < click to find out more. I bought snake tongs on EBay. 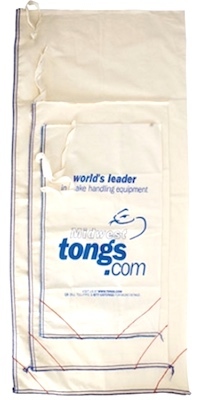 The brand is Midwest and sold at Tongs.com, but they don’t ship to Thailand. Some guy on Ebay had them and sent them to Thailand for me. Cost was $110 USD + $45 shipping. Learn how to use them gently, or don’t use them at all! To craft a snake hook I bought two metal paint rollers, took them apart and had someone weld them together in a make-shift hook. Total cost about 250 THB ($8 USD). I was never a fan of $30 hooks, until Al Coritz (ViperKeeper) gave me his awesome Midwest 3-piece collapsible hook! Thanks Al! Then I made another with a 3 iron golf club and had a metal shop worker bend the hook to the right dimensions. It worked VERY well and cost just $5 here in Thailand. I made some snake-bags with the Thailand-Snakes logo. I like my bags best. Before this, I used Tongs.com and they were OK. I think there’s no reason for small bags – get and bring big ones always. You never know what you’re going to find and need photos of. 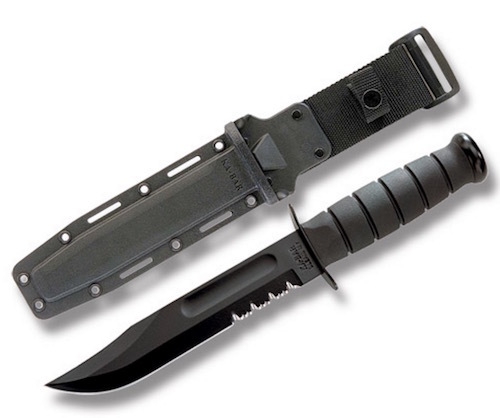 I carry a Gerber folding knife with 4-5 inch blade or a Ka-bar (Get the Ka-Bar marine issue knife here. ). There are bears where I go herping, wild cats, and large pythons. I am over cautious and always like to have some sort of weapon on me. I envision getting bitten by a 5 meter python and then him wrapping around me quickly – and dying there in a few minutes. No thanks! Here’s another folding knife I ordered – See it here. Pump spray bottle with DEET 98 or at least 50 – the highest number you can get. I usually only bring a GoPro 5 and my iPhone for photography these days. My GoPro 5 Hero Black is pretty OK, but there is a better option now, and I’ll be getting it shortly. Here is the one I suggest. If you’re wondering which DSLR to bring, I have used the Nikon D610 for a couple years of macro photography and videography in the rainforest at night. It has been fantastic. You need something half-decent in the low-light situations. The bigger the sensor, the better. Another key indicator would be – if the camera can do 4K video, it will suffice for photos at night while herping. You should always bring a charged mobile phone with Thailand SIM card. Before you go out at night make sure you download a flashlight app which will allow you to use your flash as a flashlight in an emergency. I have this one – click to see. My phone does stunning 4K video – and I highly suggest you get one of the recent iPhones. Colors are warmer than Samsung Galaxy phones – better for instant publishing – no color correction needed. My 2 year old stood face to face with an upright snake yesterday, which thank god did not bite. We’re in a Hua Hin next to Black Mountain. I got a video of the end of it, and I’m hoping you can identify it? I think it lives under our outside toilet building. So we’re a bit freaked out. wow… where is the video?